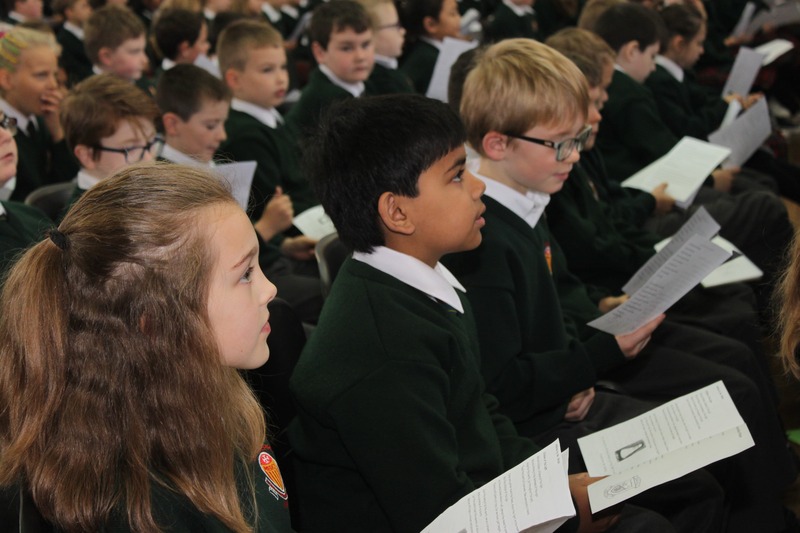 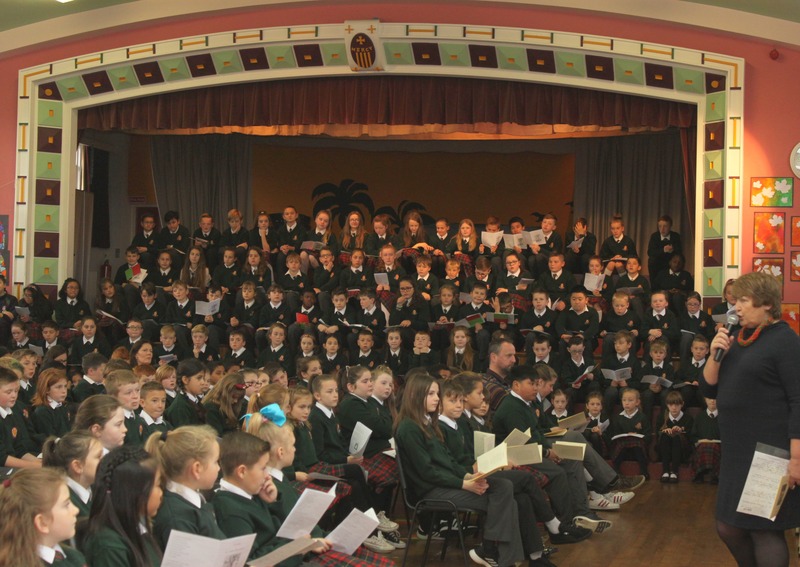 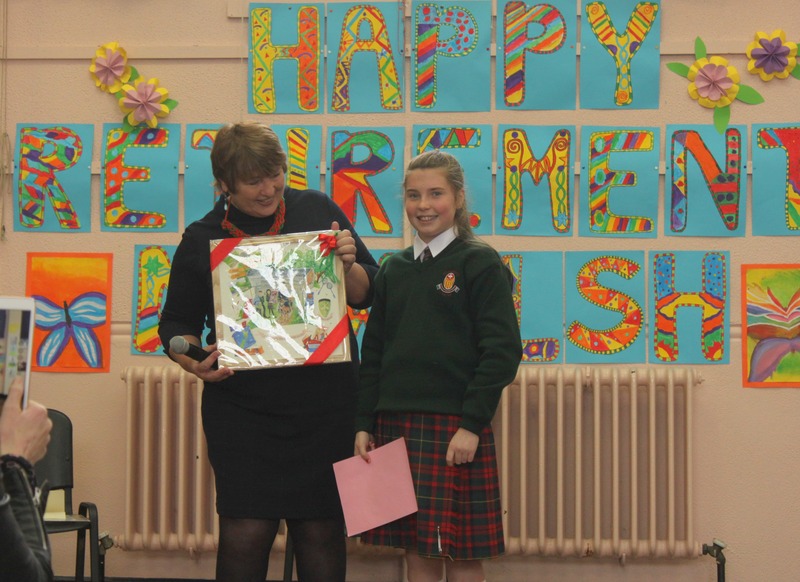 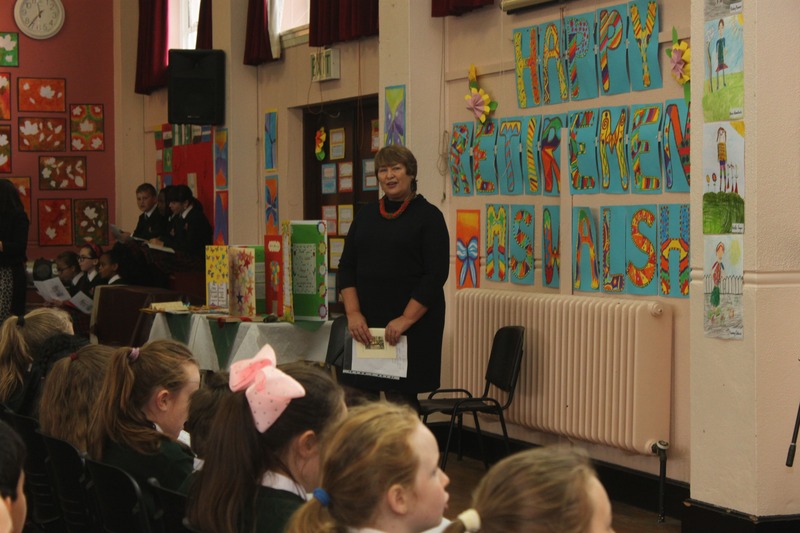 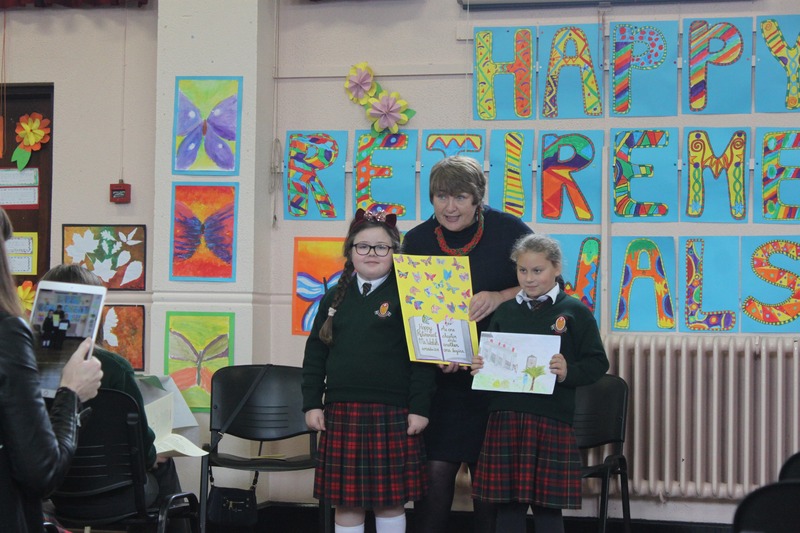 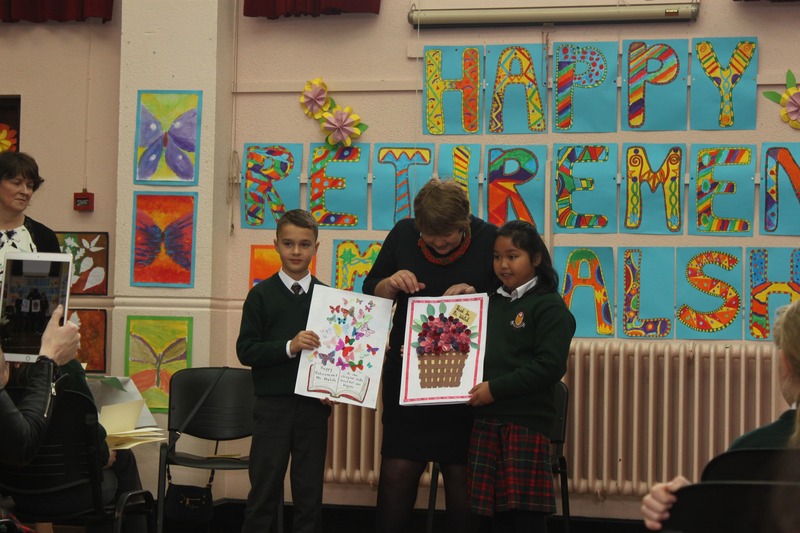 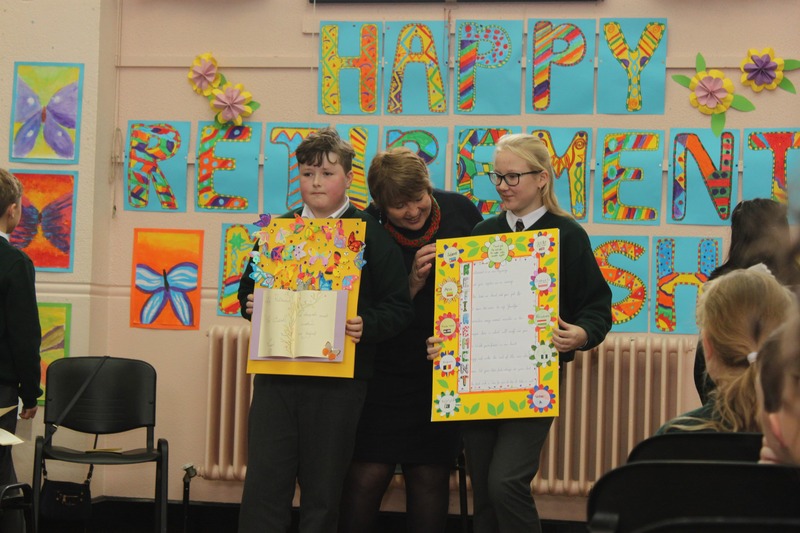 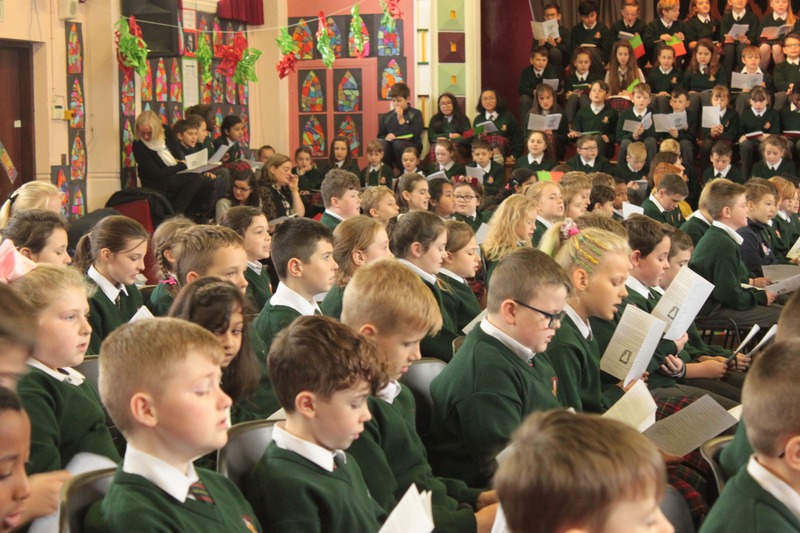 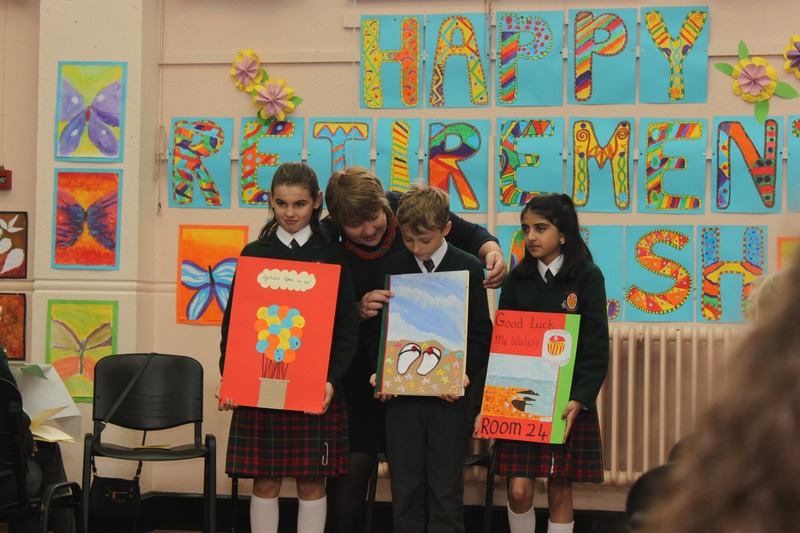 Third, fourth, fifth and sixth classes gathered in the hall for assembly on Ms. Walsh's last day. 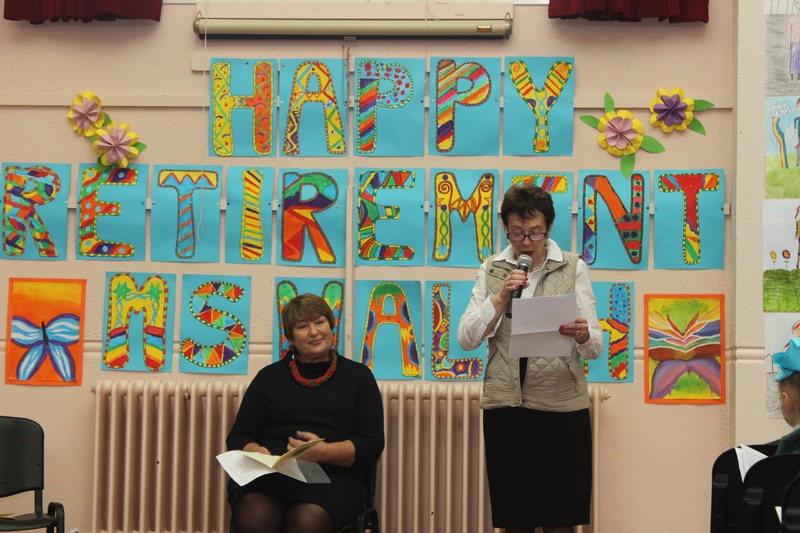 They said prayers for Ms. Walsh and sang 'Gifts from God'. 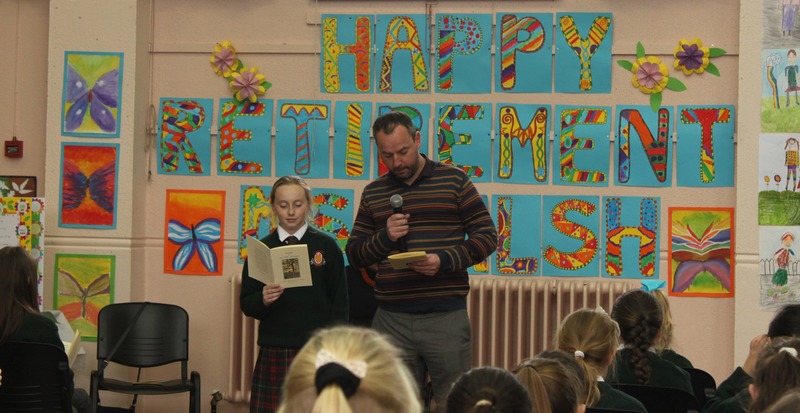 A special blessing for retirement was also read. 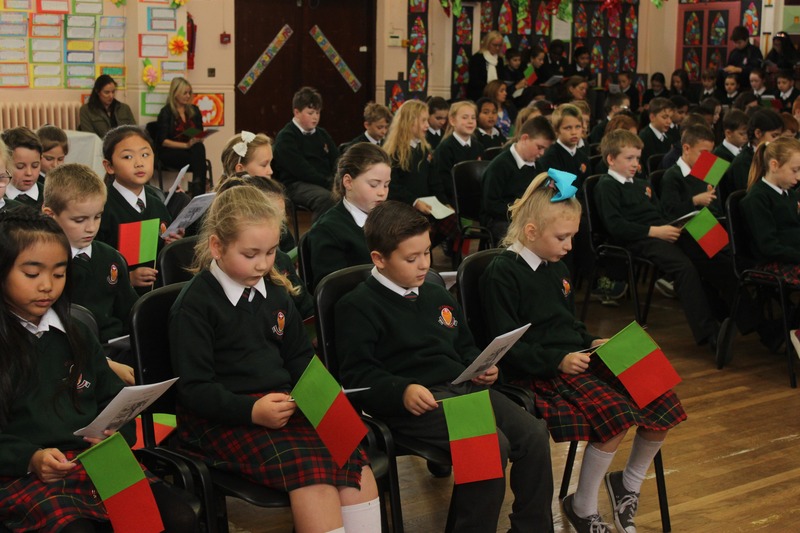 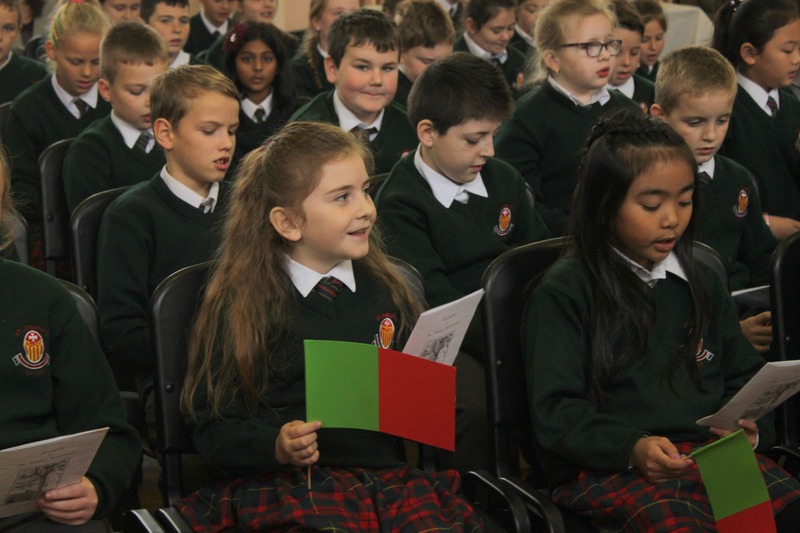 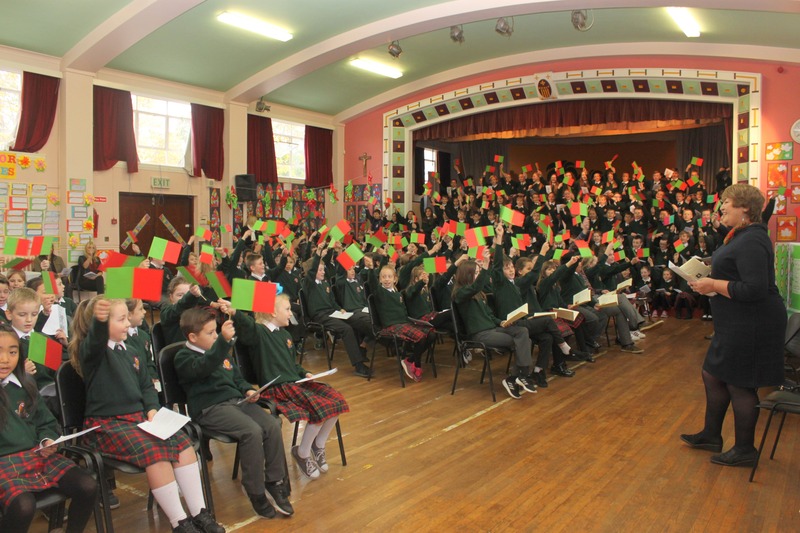 Assembly finished with 'The Green and Red of Mayo' as children from the school flew the flag for Mayo and for Ms. Walsh.